One thing we do here at ClassicCarWeekly.net is feature every Duesenberg Model J that comes up for sale (that we can find). 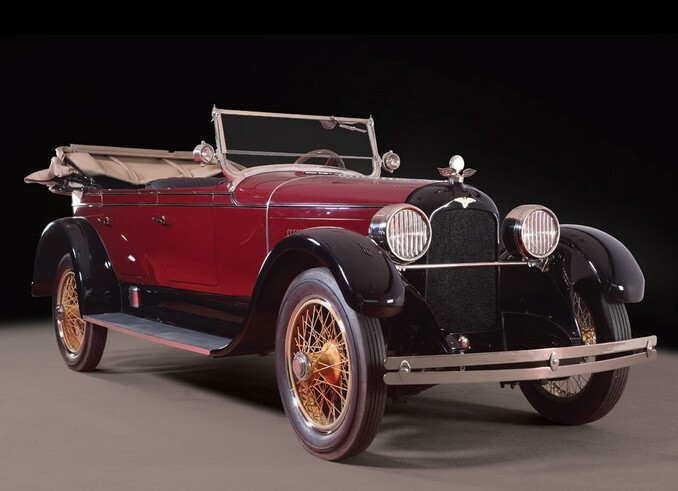 What we have yet to do, however, is give any attention to Duesenberg’s original road car, the 1920-1927 Model A. The Duesenberg brothers built race cars for the Indianapolis 500 prior to building road cars (they also manufactured aero and marine engines during WWI). So in 1921, they began selling a four-passenger car called the Model A. It was powered by an 88 horsepower 4.3-liter straight-eight engine and had all of the luxuries of the day. They were also fun to drive for what they were (and for when they were built). Duesenberg wanted to build 100 of them a month, but they ended up only building 150 in the first year. By the time production ended after 1927, only about 500 were built. This one wears a body by popular Model A coachbuilder Millspaugh & Irish (who were sort of the “in-house” coachbuilder for the Model A). The restoration on this car was done around 2004 and it should sell for between $175,000-$225,000. Click here for more info and here for the rest of RM’s Michigan lineup. This entry was posted in Uncategorized and tagged 1925, auctions, cars, classic cars, duesenberg, millspaugh & irish, model a, rm auctions, touring by classiccarweekly. Bookmark the permalink.